By far the most common accidents are motor vehicle collisions. Known as MVA’s or motor vehicular accidents, more people die each year in MVAs than have died in U.S. wars in the past 100 years. MVAs occur more frequently in Las Vegas than in other jurisdiction in the State of Nevada. Car injury lawyers abound in the State so choosing the right one can be difficult. 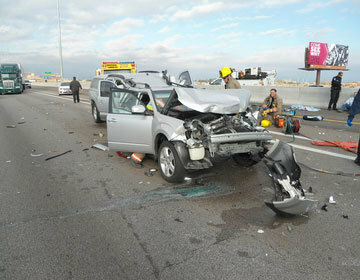 Drunk driving accounts for a large portion of the fatalities on Las Vegas highways. 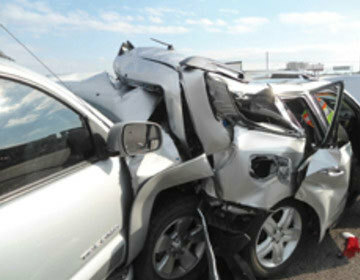 Previous clients have suffered from hazardous and sometimes even fatal drunk driving accidents. Often, the drunk driver will leave the scene, resulting in even more charges after the incident. Not only do drunks cause direct damage, their paths can be very destructive. Power poles, construction signs, pick-up trucks, and other vehicles that are used to maintain highways and freeways often become targets for the impaired. Additionally, police, Nevada Highway Patrol and often pedestrians become the victims of drunk driving accidents. Drunks normally do not have the best insurance coverage, if at all; consequently, many victims feel there is no way to seek recourse. Pedestrian accidents with cars are very crippling. Every year the statistics get worse. Las Vegas has one of the highest incidents of pedestrian accidents due to the large volume of walking traffic on the sidewalks and crosswalks of the roads. Additionally, pedestrians walking or running are at a great risk of injury. Injured in an Auto Accident? What to Do? First, depending on the severity of the car accident, medical care is foremost. If you were taken by ambulance, and subsequently treated at the emergency room you likely did not receive a copy of the police report receipts, which contain the police report incident number. Do not be concerned, as we can obtain that for you based on the date and cross streets of the accident. Your Health is a vital concern, and it is important for you to seek the best Medical Care promptly for two reasons. One is your overall health. Diagnosing the common injuries is one thing and includes: a sprained neck, air bag burns, headaches, and overall soreness. These issues may go away with time, but should be addressed by a health care professional. Other injuries include: broken bones, head contusions, herniated discs, broken ribs, and internal organ injuries. These must be treated and understood early on. Clients often do not know they have these injuries due to the adrenaline the body produces after a traumatic event, and sometime refuse emergency medical care at the scene. The hospital will take X-rays, perform MRI’s, and CAT scans to determine invisible injuries. The second reason it is important to see a doctor is the legal reason: documentation. Without a physician transcribing all your injuries on paper there is no record of the injuries. Therefore, it is imperative to have a medical professional diagnose and treat the injuries. Clients who wait to see a doctor can harm the personal injury claim. The reasons for avoiding care are usually because of a lack of health insurance coverage. Second, contact our law firm to help you deal with the basics of the accident: Retrieval of your car from storage/tow truck yard, vehicle repair estimates, recorded statements with the insurance companies, and providing notice to insurers of potential claims; obtaining a rental car; arranging of the best specialized medical care. It is important to understand the liability aspects of your case. Who was at fault? Were there witnesses? How many persons were injured, and how much coverage is available for all the victims. Can you prove the other driver was negligent? Proving a driver was negligent often involves more than a police report. The officer does an investigation, but is not the determiner of fault. Occasionally, police cite the wrong party. Here at Benson & Bingham we strive to assist with all aspects of our clients’ claims arising out of a car accident. Making sure that a damaged vehicle is properly handled is one important aspect. We would like to share some of what we do to ensure that you know what to expect in the event your car has been damaged in an accident. 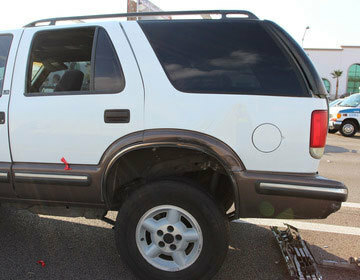 The handling of the damaged car is commonly known in legal world as a property damage claim. That claim is generally handled by the at-fault driver’s automobile insurance company, once it has accepted responsibility for the accident. In other words, the at-fault driver’s insurance company will be paying for the damage done to your vehicle. You may also have an option of getting your car handled by your insurance company, however, you have to have purchased certain coverage to be able to entertain that option. So How is Your Car Handled Once it has been Damaged in an Accident? First, it has to be inspected by an appraiser from an insurance company to determine the extent of the damage done to it. The extent of the damage is then recorded in the form of an estimate which helps the insurance company to determine whether the vehicle will be repairable or deemed a total loss. Under Nevada law, total loss means that the cost of the estimated repair is sixty-five percent or more of the fair market value of the vehicle at the time it was damaged. If such is the case, the insurance company will not be obligated to repair the car and will pay what it is worth instead. In the event your car is deemed to be repairable, it will be repaired at a body shop of your choice. If your car is considered a total loss, you will be paid its fair market value, after you make a decision whether you want to keep the car or to surrender it to the insurance company. Whether or not your vehicle is deemed repairable, in most instances, you will be entitled to a rental car but certain guidelines govern what type of car you may be entitled to and the length of time you will be permitted to have it. Once the repairs to your vehicle have been concluded or its fair market value has been paid, the property damage claim will be closed. Of course, there may be additional issues to address during the process. However, whether or not those issues arise, we will be with you every step of the way to guide you and ensure that your claim is brought to an expeditious and proper resolution. With the combination of alcohol and driving, Las Vegas tops the charts for accidents. With over 8,000 DUI arrests every year, Clark County has its share of fender benders, vehicle crashes and fatalities. In addition, Las Vegas has gridlock streets with stoplights posted every mile, as well as the heavy use of cell phones in automobiles. Consequently, this all equates to negligent driving and reckless car crashes. Call or email our Las Vegas, Henderson or Reno law office today if you were hit by a car and need representation. The Law offices of Benson & Bingham will check every avenue of revenue to ensure your rights are protected and met. Complicating a personal injury matter is the event of another accident, often within a very close time frame of each other. In Nevada, the Klietz v. Raskin Case, controls. Here, the law basically states that when a tortfeasor, or accident victim, has an accident in close proximity to another, if the damages are not apportionable (e.g. the same back injuries that are indistinguishable) than the burden shifts from the plaintiff to the defendants to figure out the damages. For example, if a tractor trailer rear ends a Ford Taurus and causes the driver to sustain a cervical injury on May 1, 2008, and then on May 10th, 2008 the driver is again rear ended by a truck and aggravates the same cervical injury, then the burden is completely up to the Defendants to figure out who is responsible for the neck injury. Contact Benson & Bingham today if you have been involved in a multiple accident scenario. Vehicle: As of July 1st, 2018, Nevada Law states that a driver must maintain minimum liability insurance coverage in the amount of $25,000 for bodily injury or death and $50,000 for two or more persons in the vehicle. This hardly provides coverage for medical bills, loss of wages, and pain and suffering. Uninsured / Under-insurance coverage is not required, nor are all medical payments covered in an accident. Contact Benson & Bingham today for a free insurance evaluation to make sure you are protected before you talk to your insurance agent. Golf carts and other recreational activities are normally not covered on an automobile insurance policy. A commercial or business auto policy is obtained by a business or corporation that usually has multiple vehicles or multiple employees that will be operating a company vehicle. Nevada requires businesses to carry a minimum auto policy of $1,000,000. which covers bodily injury and death. As outlined above, commercial carriers and businesses such as semi trucks, buses, work trucks, vans, shuttles and the like are required to maintain a minimum of a million dollars in coverage. Further, most businesses with multiple vehicles or a fleet will carry a few million extra in coverage under an additional excess policy of insurance. Most individuals carry a private party policy of insurance and most businesses carry a commercial policy. However, many commercially owned and operated vehicles DO NOT have, nor are they required to have any designations indicating that they are in fact a commercial vehicle. While commercial vehicles may have a companies logo displayed or a customized license plate, many do not. A vehicle ownership investigation, which we preform on every case, reveals the underlying policy which covers an injured accident victim. When opening a claim after an accident, it is critical to ensure counsel identifies the policy type and limits an injured victim is presented with. Being fully informed as to the at fault party's coverage even's the playing field in achieving top results. Let Benson & Bingham start your claim off on the right path by identifying all of the available insurance relating to your accident. We are here to help, just give us a call. Minor and Adults: Nevada law distinguishes between minors and adults. Parents are liable for the acts of their children up to $10,000 in certain circumstances. Hear this testimonial from retired USAF Airman Phillip Sisneros about how Benson & Bingham helped him through his horrific car accident. A second testimonial from Ty Pierce about his experience with Benson & Bingham. "Of my many duties, in life, I feel that I am obligated to share gratitude in expressing the joyful experience Benson & Bingham made out of a negative circumstance. I was rear ended, catered to the lack of attention belonging to another Las Vegas motorist. An employee of B&B law firm by the name of Ms. Cassidy escorted me through the involvement of loss and pain recovery with ease. With the comfort of a held hand, she followed through with random check-ups to see that my condition was modifying at a positive rate and satisfactory term. The fear from first time shock gained from the momentum of a rushing automobile that jerks its way through your nerves and veins, can leave a person and their family in panic. I feel better than I did before the vehicular incident. Once again, I'd like to lift my heart out and thank Benson & Bingham's law firm for impressing me. They brought more class, dignity and respect to Las Vegas." Salvaged Vehicles in Nevada: What is the Value of my Car?